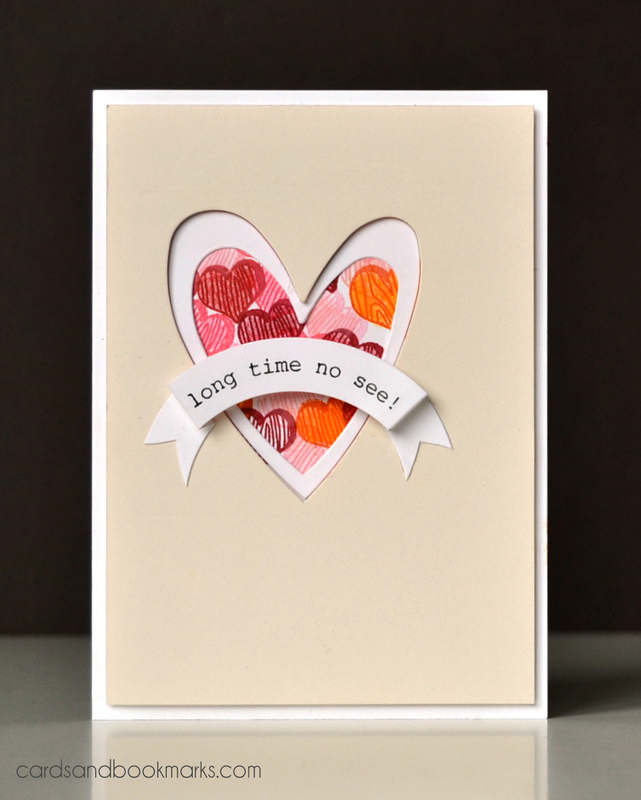 I used the Altenew set Faux Veneer, and stamped the hearts on my white card base in various Stampin’Up! inks. I then colored the hearts using Prisma color pencils (as I am writing this post, I just noticed that I forgot to color in one of the hearts!). I covered the card base using a cream card stock from Bazzill. The heart die is by Cuttlebug. To get the double layer effect, I glued down a white heart frame on the card base. The banner is made by die cutting two concentric circles, scoring and bending the sides, and cutting a fishtail at each end. I learned this trick from Jen, who posted a card recently on the Altenew blog. I hope you will join us this week. Head over to CASE Study challenge blog for more inspiration. « Watercolor class and a Giveaway! Gorgeousness! Live that delicious rich cream, and I actually love that one heart is left uncoloured – adds some great interest! Oh, such pretty cards Tasnim! I just love the pretty little hearts! Beautiful! The cream and white together with the pops of colour is really gorgeous! I can’t get enough of that banner. the shape is so different and cute! how fun to get cased!! I love what you did.